Mahindra recently launched a new version of the popular Bolero called the Bolero Power+. The update gets a reduction in length and engine size. This has been done to take advantage of the small car tax benefits. There are some minor visual changes as well. However, even after the introduction of the Bolero Power Plus, Mahindra continues selling the older model. We compare the two models of the popular UV to find out the differences. 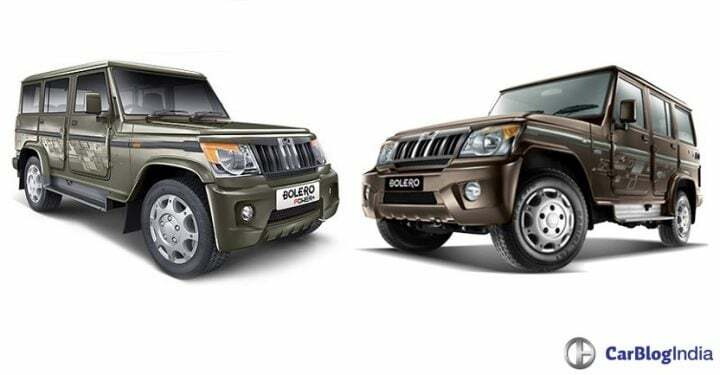 Read about it here in our Mahindra Bolero Power Plus vs Mahindra Bolero comparison. The Bolero Power Plus is cheaper than the older model. There is a difference of around Rs 80,000 to 1 lakh between the prices of the new Bolero Power Plus (Power+) and the standard model. 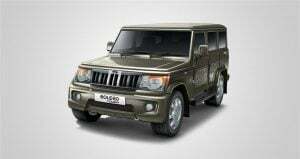 Seen above is the model wise Mahindra Bolero Power Plus vs Mahindra Bolero comparison of price. Powering the new Mahindra Bolero Power Plus is a 1.5 L mHawk D70 Diesel engine. It makes a maximum power of 70 bhp and a peak torque of 195 Nm. In comparison, the Bolero’s 2.5 L Diesel engine pushes out a maximum power of 62 bhp and a peak torque of 195 Nm. This means, in spite of a smaller engine, the Power Plus is more powerful than the standard Bolero. Both models come with a 5 speed manual gearbox. No AMT for the Bolero yet. Both UV’s get Mahindra’s Micro Hybrid system. The new Mahindra Bolero Power Plus is more fuel efficient. However, real world mileage might be closer. In terms of dimensions, the only difference is that the Bolero Power+ is shorter. Apart from that, the two are identical. Visually, it is very hard to tell the two apart. The only differentiating factor here is the design of the front bumper. Mahindra has shaved off a part of it to reduce the length of the car and given it a new profile. The rest of the SUV continues with the same look. Bits like the headlamps, wheel covers, all are exactly identical. 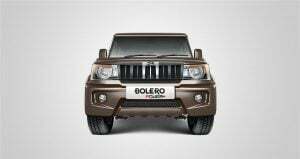 The Bolero is available in six colours – Fiery Black, Mist Silver, Java Brown, Diamond White, Rocky Beige, Toreador Red. 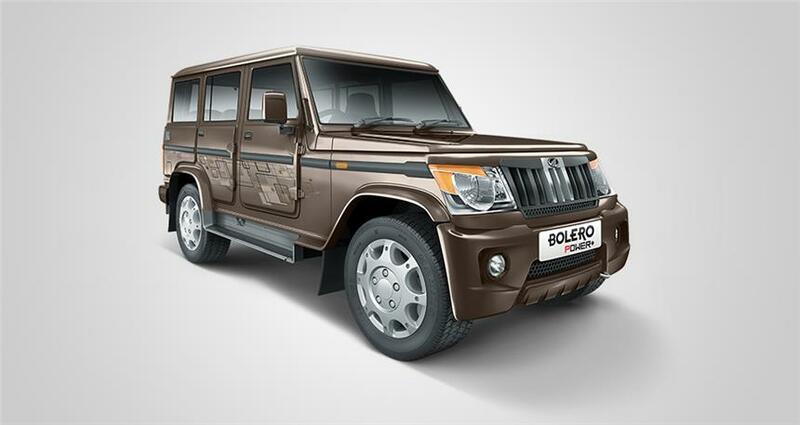 On the other hand, the Bolero Power+ comes in only four colours- Mist Silver, Java Brown, Diamond White, Rocky Beige. Both versions of the Bolero boast an identical interior setup. In spite the reduced length, the Power Plus gets the same cabin space. This is because only the bumpers went under the knife. However, Mahindra does claim the seats in the new Power Plus are better bolstered. Both Boleros get a digital instrument cluster. 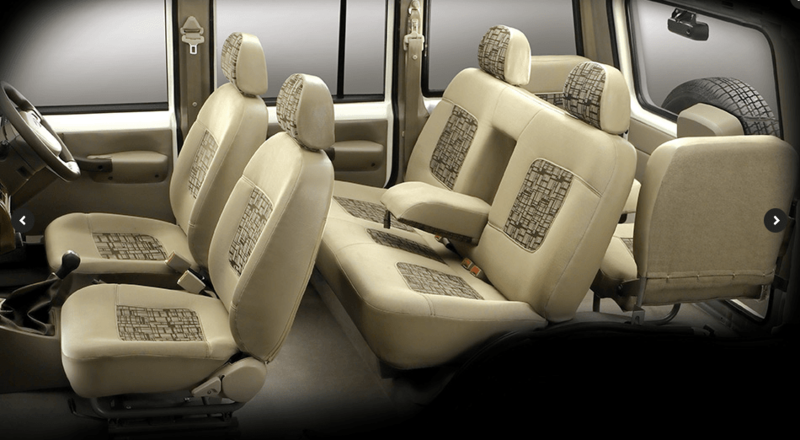 Mahindra Bolero can seat up to 7 people. However, the seats behind the second row are jump seats. These are not very comfortable. The cabin is finished in a light shade with some cheap wood inserts on the centre console. Standard features on the SLE model include power steering, air conditioning, digital instrument cluster and a remote fuel lid opener. 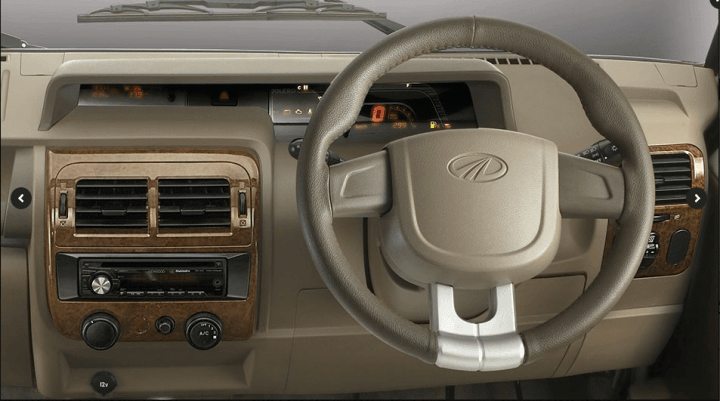 Mahindra Bolero and Bolero Power+ SLE models do not get an audio system, charging points or the driver information system. The SLX models get heating function for the AC, wood finish centre console, front and rear power windows, central locking, remote key unlocking, and charging points. While the Bolero Power Plus SLX models feature an audio system with USB support, the Bolero SLX only gets an audio system with CD MP3. The top-end ZLX models get additional features like Mahindra’s micro-hybrid system, driver information system that shows ‘distance to empty’, current mileage, etc. ZLX trims also feature a rear washer and wiper. No models of the Mahindra Bolero and Bolero Power Plus get safety features like airbags and ABS. The biggest advantage the Mahindra Bolero Power+ has over the older car is the price difference. It is cheaper by around eighty thousand to one lakh. Also, the smaller engine in the Power Plus produces more power and is more fuel efficient. Apart from that, in terms of features and other aspects, the two are nearly identical. 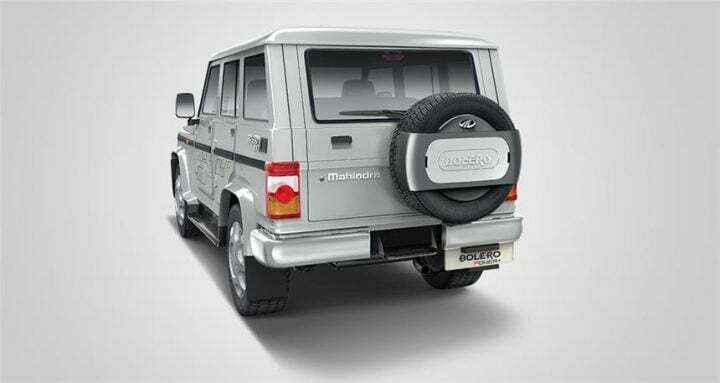 Design – Both versions of the Mahindra Bolero look nearly identical. The only differences are in terms of the front bumper design and badges. Features – There isn’t much that sets the Bolero Power Plus and Bolero apart in terms of features. Specifications – The 1.5 L Diesel on the Mahindra Bolero Power Plus produces more power and is more fuel efficient. Price – Model for model, there is a price difference of around Rs 80,000 to 1,00,000 lakh. That makes the new Bolero Power Plus better value for money. What are your thoughts on Mahindra Bolero Power Plus vs Mahindra Bolero comparison? Do let us know in the comments section. Stay tuned to Car Blog India for news updates on the Mahindra Bolero Power+.